In this busy life, many people are suffering from problems related to health. The main health issue is weight gaining and fat related problems. 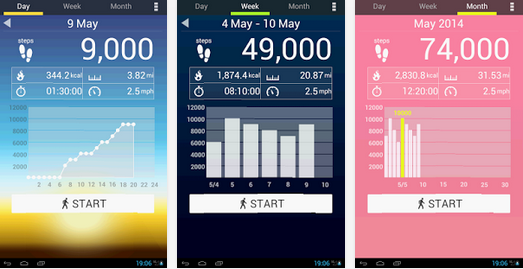 We are here with some best fitness apps for Android that will keep you fit and healthy. These apps helps you in seeing your everyday exercise and can help you think about your life in a new way. Start with small changes that can lead to a fitter lifestyle and healthier habits. Pedometer is the fitness app that records number of steps you have walked and display step’s numbers, calories burnt, walking time and also speed per hour. For using this app you have to hold your Smartphone always so that it count you number of steps. A graph is formed according to number of step per hour. With this app you can make your art of living healthy by becoming more active, aware and motivated. You can track your activity like walking, cycling, running etc. Also you can set your daily goals based on distances, calories burnt and duration and see your progress of the day. This app is compatible with all android wear devices. MyFitnessPal is one of the most popular workout apps and fitness apps for Android. You can use this app to track calories with available database of over six million different foods. Enter what you eat and track how much calories you have consumed. The app also logs your exercise. Create your goals and start working on your fitness. The app can help you in losing your weight, gaining weight and in weight maintenance goals. 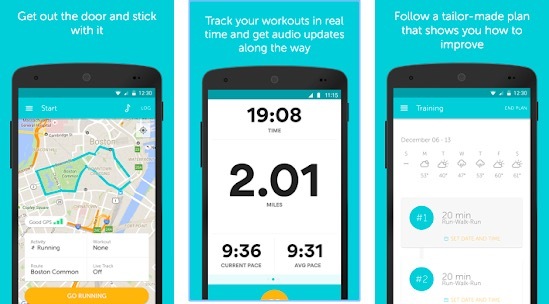 As the name suggests, the app tracks your running. But it is not just limited to running. It logs over 600+ activities including running, cycling, walking, gym workouts, cross training, yoga, and more. It also provides audio feedback on every GPS-tracked run and shows your running on Maps. It also allows you to control music and incoming calls directly from the app. 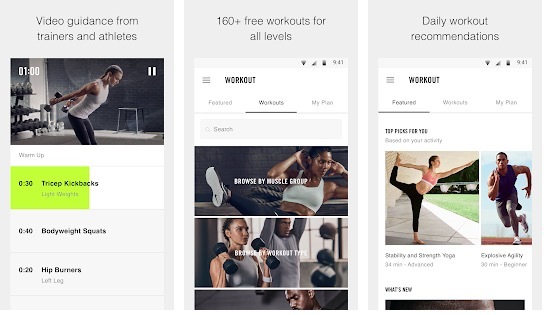 This app has thousands of free workout and premium training programs which can help you to achieve your fitness goals. In this app a personal trainer guide you through exercises, step-by-step audio, photo and video. The time description of the exercise is also display. This app is perfect for those who want to get shape without using any exercise equipment. Daily yoga is world’s most popular yoga coaching which guards your health everyday with your own yoga studio. It has 50 yoga classes, 400+ yoga posses, HD videos, live voice guide and music with social community option. There are 7 yoga plans for beginners, fitness, weight loss, strength, flexibility, relaxation, balance, menstruation, etc. 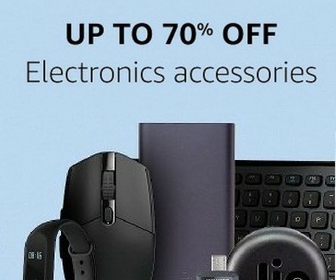 It tracks your everyday life and exercises that too automatically. What you do is just carry your phone in your pocket or bag. It automatically track walking, cycling and running, recognizes places in your daily life, route your path and count your step. You can also use your moves data with the other apps. Argus is a similar kind of fitness app that monitors your sleep, heart rate, calories, and more. You also get challenges to overcome. You can create your workout plan and follow it. 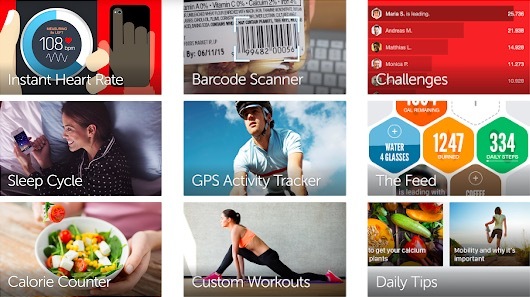 For counting calories you consumed, the app allows you to enter items manually or by scanning bar code. 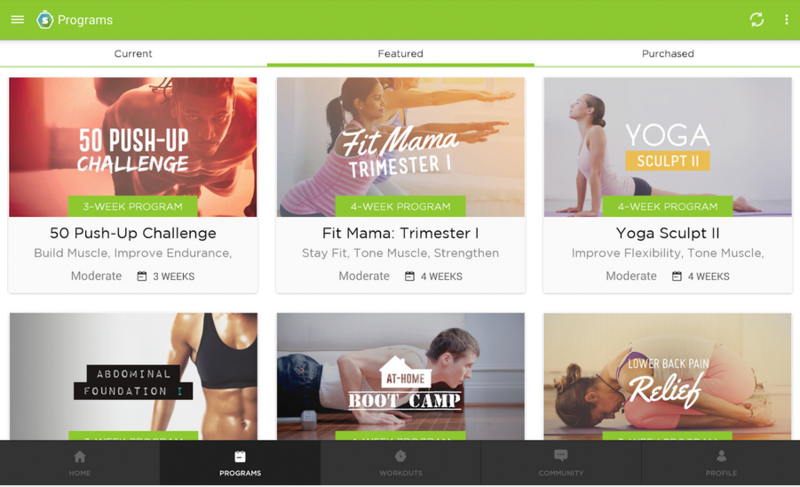 It offers several 30- to 45-minute workouts and detailed suggestions based on your own personal fitness goals. It shows proper photos and video demonstrations so that you can easily understand how to properly execute each exercise. 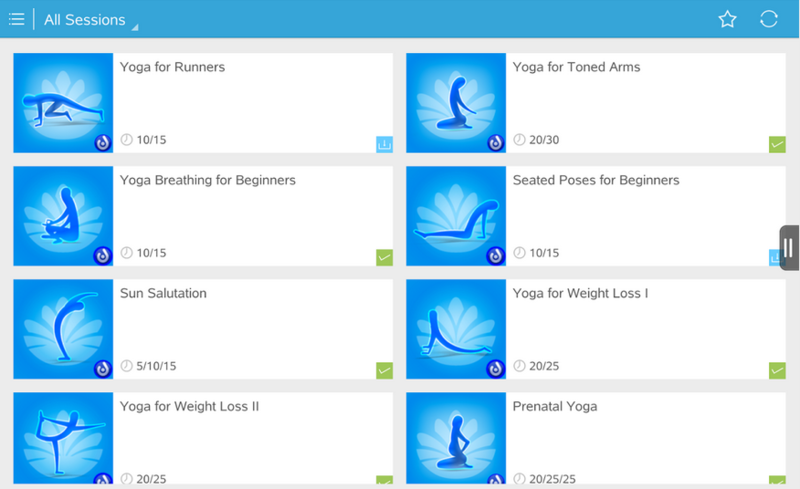 It also offers set of recommended workouts and expert advice to help you focus your routine. There are several workout levels and you can select based on your need. 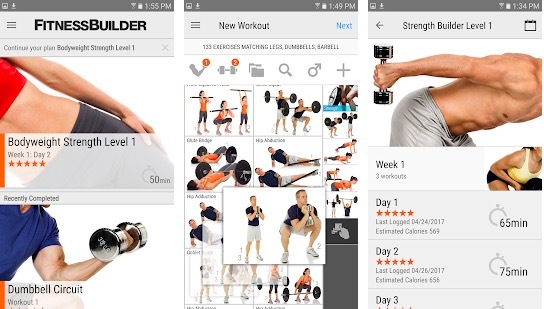 FitnessBuilder comes with a diverse catalog of workouts designed to help you at gym. It has hundreds of videos that are easy to understand how to do a specific workout. The app is free and offers over 400 workouts in 16 multi-week fitness plans as well as a complete body stat tracker. There is also a premium subscription with better options. Runkeeper allows you to use your phone’s GPS to log your running pace and distance on a route. Set goals and follow the plan. The app offers personalized routines to fit into your busy schedule. It also has stop watch mode for indoor cardio (treadmill, cycling) and gym workouts. Hope you enjoy the article. 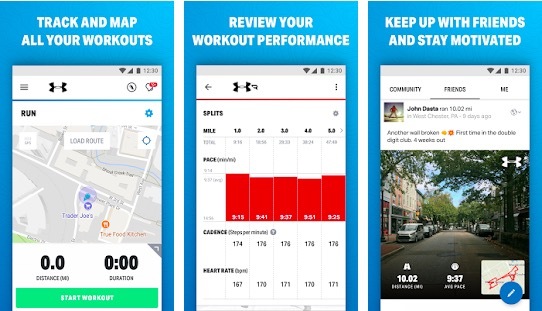 Stay healthy and stay fit with these best fitness apps for Android. There are lots of other good fitness apps that I may not have tried. If I forgot to mention any app that you think should be in the list, do not forget to comment and let me know. We have made several interesting app lists. You should not miss those.